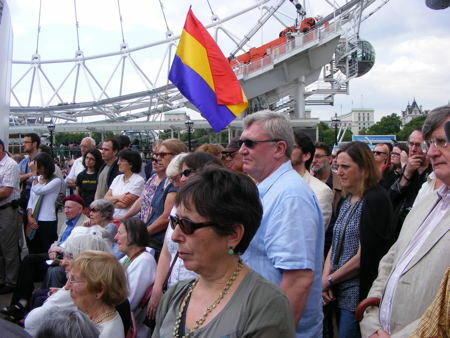 Spain’s national evening news evening covered last weekend’s London celebration commemorating the creation of the International Brigades 75 years ago. The segment, which begins about 12m:30s into the broadcast, includes footage UK veterans David Lomon and Thomas Watters. See the whole program here. The anniversary attracted considerable media attention, including an editorial in The Guardian and coverage by Reuters.